Message From Your Council - Help Council to continue “Creating Better Parks"
Brimbank City Council has commenced consultation on the update of its award winning Creating Better Parks – Open Space and Playground Policy and Plan. Community members are invited to complete an online survey to tell Council their thoughts on the impact and gaps associated with Council’s delivery of Creating Better Parks. Council hopes to hear from as many people as possible to ensure the policy and plan update reflect the feedback and ideas of the community. 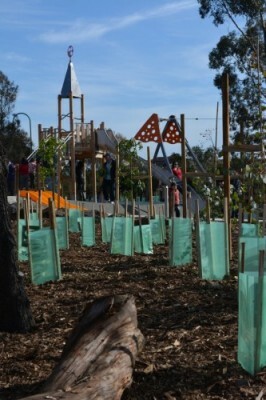 This policy and plan established a framework for a major transformation of Brimbank’s park network when it was first introduced. In the seven years since Creating Better Parks was adopted, Council has upgraded 83 parks at a cost of about $20 million, including Brimbank’s five flagship parks, and usage of these spaces has increased significantly. Council is now revisiting this document, including looking at some of the functional aspects of the park network and considering what gaps there may be. Through this survey Council wants to find out about the impact park upgrades have had on neighbourhoods, which parks people are visiting, how often, what they enjoy, and what new things people would like to see in the future. Anyone who completes the survey will go into the draw to win an iPad, after completing their contact details at the end of the survey. The survey will remain open until 5pm on Friday 9 October. Brimbank City Council will work with local primary schools to coordinate Walk to School activities in Brimbank after receiving funding from VicHealth. As part of VicHealth’s long-term plan to get more Victorians living healthier and happier lives, their Walk to School campaign encourages primary students across Victoria to walk to and from school throughout October. VicHealth’s Walk to School month highlights the benefits of children walking, such as improving fitness, friendships, their confidence and the environment. It’s free, easy and a fun way for children to get active. Last year 11 local schools participated in this VicHealth initiative, and Council encourages all local primary schools to get involved this year to make Walk to School even bigger and better. By getting involved in Walk to School, local primary schools will be helping their students learn healthy habits, and supporting them to meet the 60 minutes of physical activity recommended for children each day. All participating schools will receive student certificates to celebrate their achievements and will be in the running for regional prizes provided by VicHealth. The class with the greatest participation level among participating Brimbank schools will also win family passes to Brimbank’s Leisure Centres. Throughout October, schools and parents can help children record their walks using classroom calendars or the Walk to School website and free app. The Dawson Street Precinct will soon undergo a major transformation providing additional parking, improving safety and amenity, and stimulating activity. Council invites you to find out more about these proposed changes at a consultation session on Wednesday 16 September. The first session will be held outside the Sunshine Leisure Centre from 9–11am. The second session will take place near the corner of Service Street and Hampshire Road, from 12noon–2pm. Planned works include a multilevel car park, pedestrian paths, new lighting, a new landscaped public open space and water sensitive design treatments. Are you part of a community group leading the way to ensure and increase participation of women in key committee roles? Does your group embrace and encourage participation of people of all abilities? If your answer is yes, we invite you to share your success stories about equal opportunity practices at the Community Governance Show Case event on Monday 26 October. The session will provide other community groups with an opportunity to reflect on their processes, ask questions and get to know other community groups active in the Brimbank area. Three groups will be offered the opportunity to participate in the event. Successful community groups will be offered a meeting with the Community Development Officer in preparation for the event. Applications close on Friday 11 September. For an application form phone 9249 4418 or visit our Community Governance page. If you're a woman of African background and live, study or work locally, you can apply to join Brimbank City Council’s Connecting in the Community program. If selected, you'll be inspired, learn skills, build confidence connecting with the community, and be encouraged to share your story and plan for your future. You'll also learn how to get involved in community activities and about opportunities to influence decision making. There's no charge – the program is fully subsidised with all expenses covered. There'll be seven weekly sessions on Thursday evenings, 6–8.30pm, from 8 October–19 November at Community Studio 1, Visy Cares Hub, 80B Harvester Rd, Sunshine. You'll have to attend every week. Applications close Friday 25 September, 5pm. Contact: Elizabeth Lewis on 9249 4039 or email cpevents@brimbank.vic.gov.au.